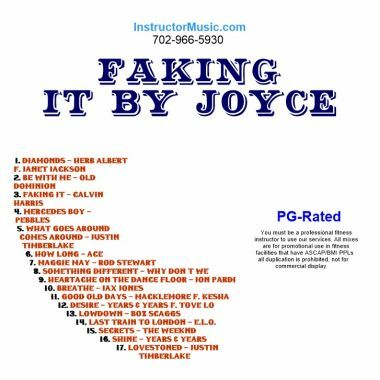 The second of two new custom workout mixes by Joyce continues to mine for lost hits! You’ll be humming along and remember many of these deep cuts from the 70s and 80s. Highlights include “How Long”/Ace, “Last Train To London/E.L.O. and Rod Stewart’s classic, “Maggie May”. Current fare is also included from the likes of Why Don’t We/“Something Different” and “Good Old Days”/Macklemore & Kesha. This mix is PG-Rated. 14. Last Train To London – E.L.O.